Rabbit, Carrot, Gun – East Coast Road, Katong | Is Life a Recipe? 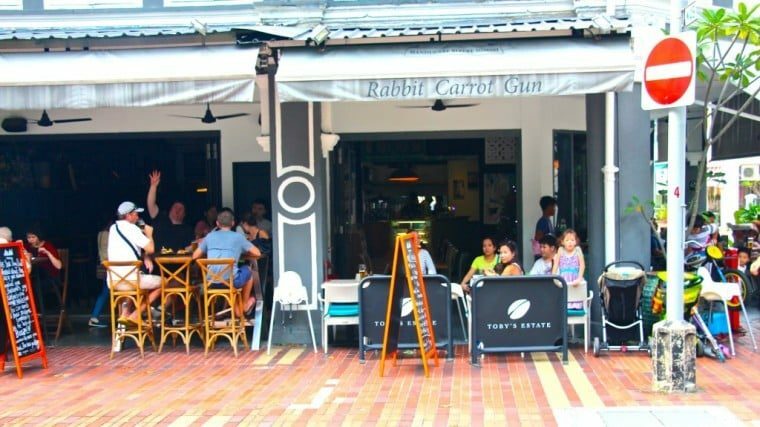 After a beautiful day with friends at a beach bar with pool (see SandBank review from last week), we walked home via Katong and East Coast Road to one of our occasional favourites; Rabbit, Carrot, Gun – East Coast Road, Katong. A fine bar, come eatery, come hotel. The food here is great, and I’ll tell you why. Great quality, value, portions, and selection. You get chance to have good old Western food, and Western food that is very oriented towards British – and you’ll see why below. Here she is in all her glory, really great place split in to three areas. Probably the one and only downside is the main road location. Constantly checking on the kids to make sure no one is running about near the traffic. But there is inside seating of course, and thee is the side street to locate yourself and munchins. A smile or two, with a morsel or three, and a tipple or four. And a fine feathered pillow in a burrow made of dreams. That’s just scratching the surface here at this fine establishment. The one the rabbit calls home. Did you know you can sleep at Rabbit, Carrot, Gun – East Coast Road, Katong? Well yes you can. They have three rooms above Rabbit, Carrot, Gun, and 2 rooms above The Trenchards Arms next door. As you look at the photo above, Trenchards Arms is to the left of the pillar (where you can see my mate Scotty waving), and Rabbit, Carrot, Gun is to the right of the pillar )where you can see my gang sat down eating). So we’ll come to food next, but firstly you need contact details for this place. I’d suggest you could walk up for lunch, but would book for dinner. Or to be safe, hey just book full stop, especially if you want to select your seating location at Rabbit, Carrot, Gun – East Coast Road, Katong. Now to the food that we consumed this glorious day with our great friends; The Copelands and The Rutherfords. Of course this was washed down with some cleansing ales. An absolute must when you see the plates below. Now this is where they do get a tad $$$. I missed one fantastic photo opportunity sadly, which was of a special treat from the owners/chef. A couple of taster plates of their black pudding. It has been so long since eating this cracking blood sausage – I believe because of some dodgy Chinese blood imports, killing this delight for the rest of us.. A few little slices was all we needed to take you to that special food heaven place. Rabbit, Carrot, Gun – East Coast Road, Katong, we’ll be back soon. And here is some encouragement for new visitors. 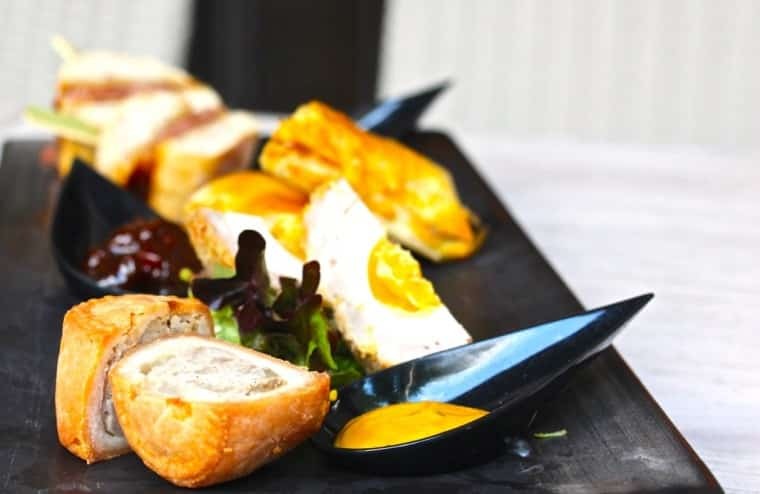 The British Platter – pork pies, Scotch eggs, English mustard etc. Yummo! The famous British platter. Oh my gosh I love this dish. Scott eggs (divine – sorry Mum, but I think these may be best I have had), Melton Mowbray Pork Pies, Sublime sausage rolls and mini bacon sandwiches. All served with English mustard and Branston pickle. OMG we love you Rabbit, Carrot, Gun – East Coast Road, Katong!!! I mean come on, if you’re British how could you not love the content of this platter, and if you are not British get yourself down here tout de suite (hold on that is French), bloody fast to experience really solid British fare. You will not be disappointed. 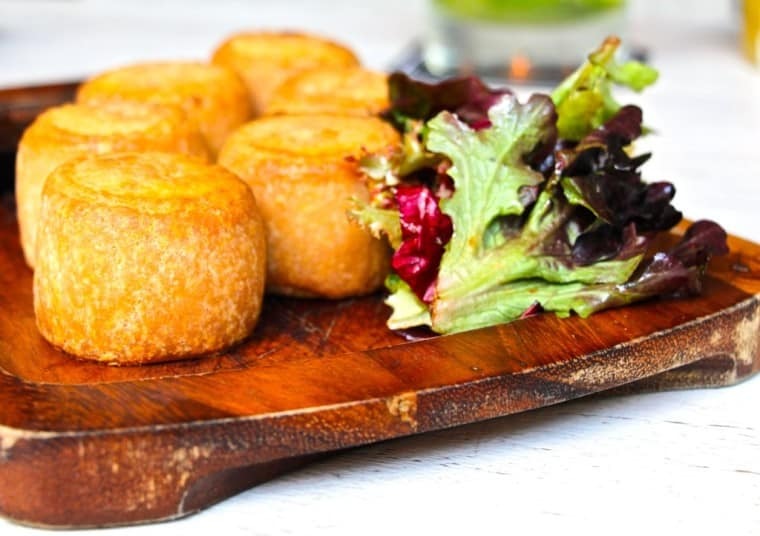 So good they are – in fact we’ll have another whole Pork Pie Platter Please – wow all the p’s. But no veg with this, ha ha, just the pies. Delicious. So more-ish. So SHIOK. Oh yeah baby. 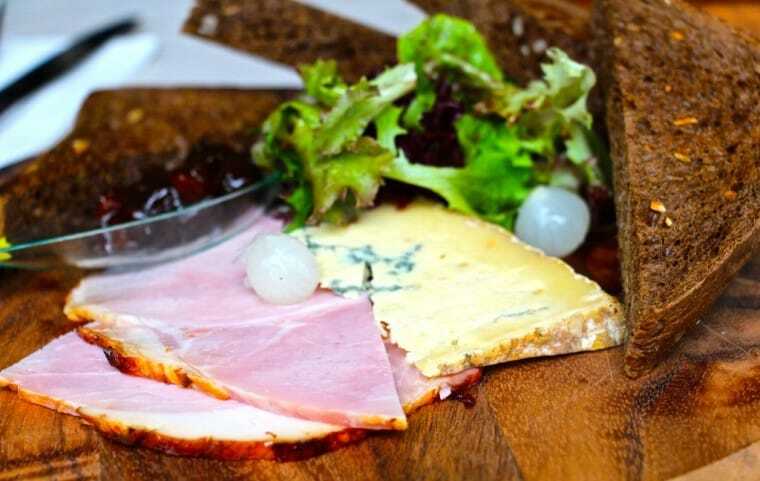 Beautiful thick cut ham, with a fantastically strong but smooth Stilton cheese. Served up with this bread which I don’t think I have ever had before. Really really good with the ham and cheese, almost doughy in texture and a lovely nutty flavour. One for Mary. 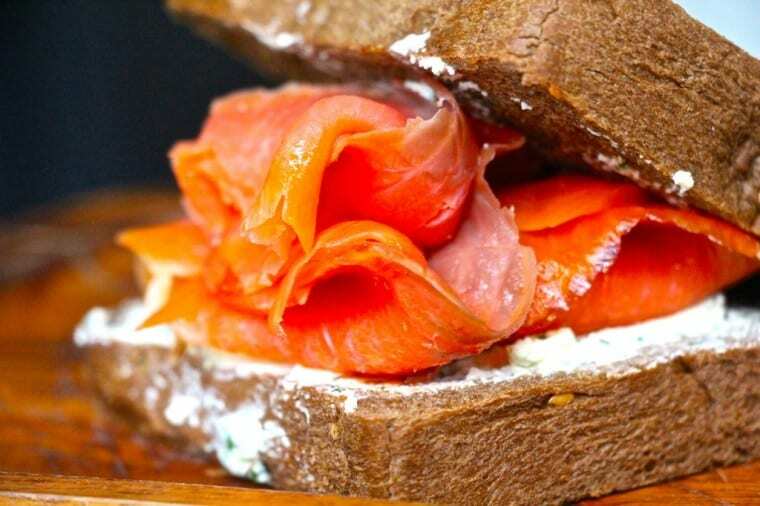 I ordered the smoked salmon and cream cheese sandwich. Again this bad boy comes served in that amazing bread. Girls commented that this was simple, and simply tasty. Have to say it looks real preddy too. So there you go folks, a little write up for Rabbit, Carrot, Gun – East Coast Road, Katong. A few bus-stops away for us Siglappers. A great restaurant indeed. Sit outside and watch the world going passed, enjoy a platter of two, and some cold ales. I confident to say you won’t be disappointed. If you do go – ENJOY!!! No Replies to "Rabbit, Carrot, Gun - East Coast Road, Katong"